The International Convention Centre (ICC) Sydney was the setting for a reunion of the team behind the 19th International Microscopy Congress (IMC19), which recently won the International Association of PCO (IAPCO) Driving Excellence Award for Collaboration. Representatives of all the players involved in bringing the highly successful conference to Sydney included the Organising Committee Chair Simon Ringer and Co-Chair Paul Munroe; PCO Arinex CEO Tamara Kavalec; BESydney CEO Lyn Lewis-Smith; ICC Sydney CEO Geoff Donaghy and NSW Parliamentary Secretary to the Premier and Treasurer Jonathan O’Dea. Held in September 2018, IMC19 attracted more than 2,800 participants from 48 countries. The partnership-driven approach between all stakeholders saw the Congress take home the coveted IAPCO ward which was announced at IBTM in Barcelona last year. 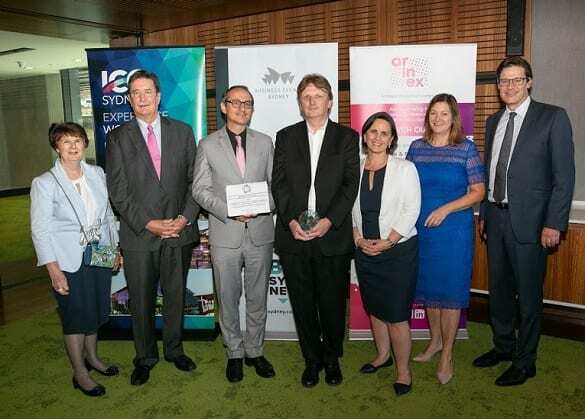 “Australia has a global reputation as a welcoming, innovative and collaborative nation, and this Award from Arinex’s international peers is a wonderful recognition of the contribution the business events sector makes to New South Wales,” said O’Dea. Kavalec said the Team Sydney partnership gave IMC19 clout worldwide. “The close-working relationship with the Organising Committee saw us introduce several IMC firsts, including digital posters to give delegates a more valuable experience and a Schools Outreach Program that welcomed over 600 students across the State,” she said. Lewis-Smith said organisations are looking to find new models to ensure the long-term viability of their global meeting programs at a time when the business events sector is facing significant competitive challenges. “Sydney’s business events sector has again proven how it can collaborate closely with industry groups and businesses to generate outcomes that help an industry grow,” she said. Ringer said the conference showed that microscopy in Australia punched well above its weight internationally. Donaghy said the successful delivery of IMC19 was an excellent example of what can be achieved through a collaborative approach. 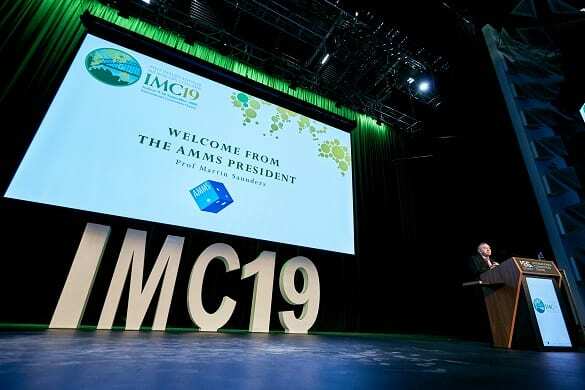 “IMC19 was a very complex event that we worked hand-in-hand with the Australian Microscopy & Microanalysis Society, Arinex and BESydney to deliver a highly successful outcome – a true demonstration of the collaborative nature of our city,” he said.